To be honest, I didn’t know what to expect…I don’t think Cyprus is a very popular summer destination for Portuguese people. In fact, I don’t think I saw more than 3 Portuguese people during the 11 days I was there, and trust me, I usually see a lot more everywhere I go! 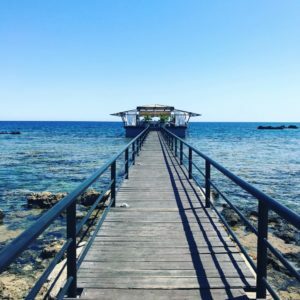 If you are looking for your next summer destination, please consider Cyprus, you will be amazed by the amazing beaches, the natural beauty, the great weather, and by all the things to do! We stayed in the Pavlo Napa 4 star Beach Hotel in Ayia Napa city, it has a private pool and shares a beach with a few other hotels. The beach is literally just outside of the hotel and its called Sandy Bay. 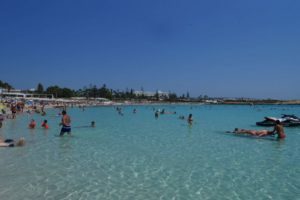 The hotel is also a 10 minute walk away from the famous Nissi Beach, that is considered the best beach of the area. 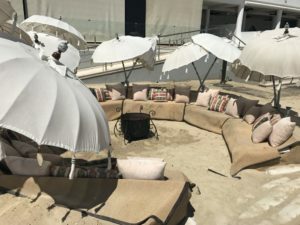 I wouldn’t say the Hotel was amazing (if I ever go back, I will try another one), but it was one of the most affordable ones for it’s location, it’s clean, it has the “all inclusive” option, it has a pool, spa, restaurant, and basically everything you need. Ayia Napa it’s the typical summer city made for tourists. There’s lots of souvenirs shops, that sell a bunch of beach accessories, food stores and supermarkets opened until late, and lots lots of restaurantes and bars. We had the all inclusive deal with our hotel, so we only went to outside restaurantes a couple of times. For my birthday we went to the Costas Grill House Taverna and asked for the meat Mezze, that is basically the Greek version of Tapas and it was amazing. There was so much food we couldn’t possibly eat it all, but it was very very tasty. 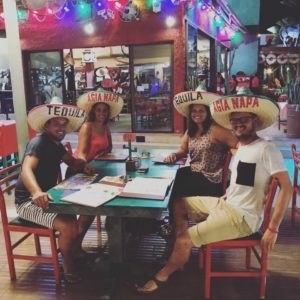 Another night we went to the Tequila Mexican Garden restaurant and it was another good surprise. Again, very generous portions, tasty Mexican food and very friendly staff. Pretty much in any beach there is a number of water activities you can do, like snorkelling, etc. But I’m not into water sports so what we did was to rent a quad and a buggy. 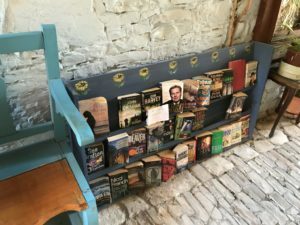 There is a number of places you can rent these from, but we went to the place right in front of our hotel. We rented them for 24h and we did it in the morning so we could enjoy it the whole day. 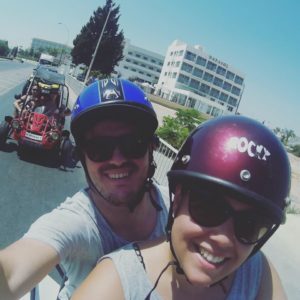 What we did that day was to explore all of the beaches in the area, we went from Makronissos to Fig tree beach, and visited all the beaches in between. They were all amazing, clear and warm water, just gorgeous. We also made a stop on the Love Bridge for a few pictures and to get some drone footage, but we didn’t have the courage to jump from it as so many people were doing. 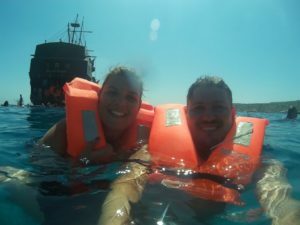 On my birthday we decided to go on a Pirate Ship! Yes a Pirate Ship 🙂 One of the most know activities in Cyprus is the “Pirates of the Caribbean” ship. The ride lasts for 4 hours and includes Lunch. There are entertainers dressed like pirates making sure you have a fun time, and they make 2 stops for swimming and jumping from the ship if you want. I honestly loved it apart from the fact it was soooo hot that day, and it wasn’t easy being under the sun for 4 hours! I guess we could have gone inside, but it would take all the fun from it and we wouldn’t have been able to see all the beautiful views. So if you go to Cyprus and decide to do this, make sure you go prepared for the sun and the heat. We also rented a car and explored the Island for two days. 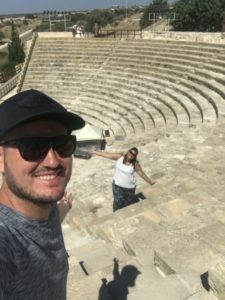 We made our first stop at the Kourion, that was an important ancient city-state on the southwestern coast of Cyprus. The acropolis of Kourion, located 1.3 km southwest of Episkopi and 13 km west of Limassol, is located atop a limestone promontory nearly one hundred metres in height along the coast of Episkopi Bay. 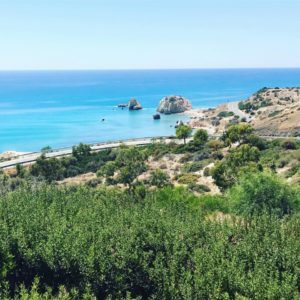 Next we went to Aphrodite’s mythical birthplace ‘Petra tou Romiou’, that is an interesting geological formation of huge rocks along one of the most beautiful coastlines on the island, located on the southwest coast of the Pafos (Paphos) district. If you want to swim there I advise getting some appropriate shoes, as it is not a sandy beach! I loved it there thought, it is a beautiful and inspiring place, and the water is also very clear and perfect for a “beauty” swim. 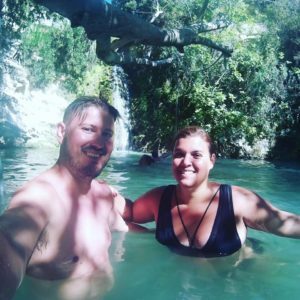 The next stop was Adonis Bath Waterfalls, that can be found in Kili at Paphos, and it is considered as one of the most gorgeous and exceptional areas in Cyprus. Honestly, I was not that impressed. We had to pay to go in and once you are there it is not as amazing as they make it sound. You can have a swim there but the water is freezing cold, it is quite a small place and not a lot to do or see. But I’m still glad I went though. After this we went to a place that I recommend you to be really careful if you decide to go there! We decided to visit the Blue Lagoon, that is known to be very very beautiful and where you can see dolphins and everything…but the road to get there is a nightmare!! As we had rented a car, and the road to get there was on the map and there were no signs of it not being possible to drive there, so we decided to go. As we get close to the only road that leads to the blue lagoon, we see a few people that were walking back, so we checked the map but it was still 5 km to get there, so we thought “no way we are going to walk that far”. There were also almost no cars parked there so we definitely thought it was ok to drive. It is definitely not possible to drive (a regular car) there!! And even if you have a 4X4 it is still pretty dangerous! The road is made of only rocks and loose dusty sand, super narrow and unfenced. At some point we almost went down the cliff and it was really really difficult to turn back. Anyway, I can’t tell you if it is a beautiful place or not (probably is!! ), as we were so scared we turned back and didn’t have the motivation to try again by foot. If you want to visit the Blue Lagoon, please consider walking or to take a boat (apparently there are people with private boats that you can pay to take you there, but we only found out much later). 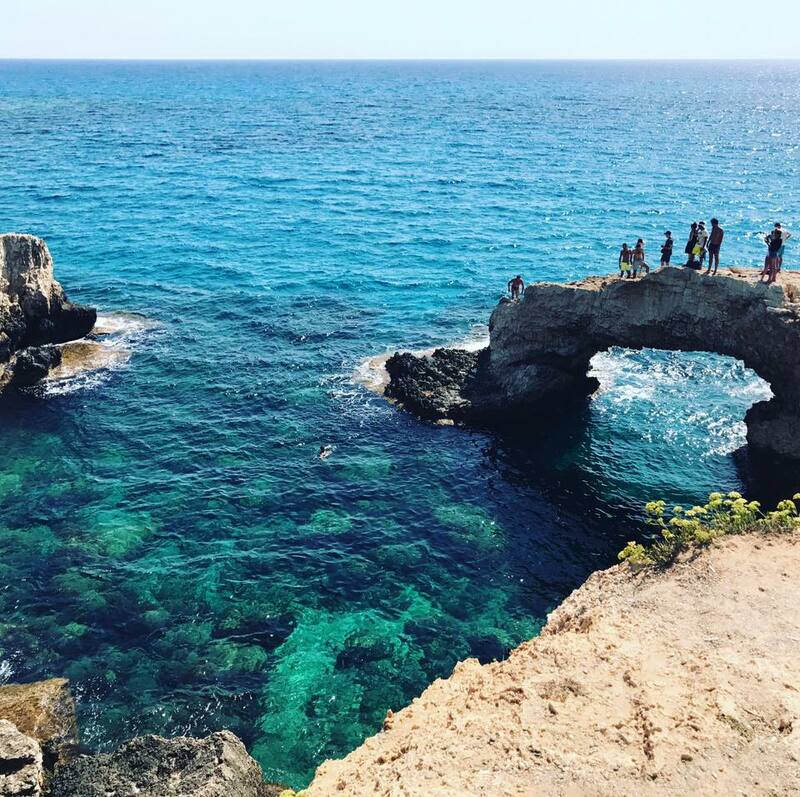 After this scary experience, we decided to visit Aphrodite’s Baths, which is not too far way from the blue lagoon. This was much easier to get to and it is another beach where you should wear shoes. Again, beautiful place, the water is very clear and warm but a bit difficult to get in and out because of the rocks. On the next day we went to Northern Cyprus. If you don’t know, Cyprus is a divided Island. Northern Cyprus, officially the Turkish Republic of Northern Cyprus, is a self-declared state that comprises the northeastern portion of the Island of Cyprus. So Northerns Cyprus is technically considered “another country”, and that means we had to go through a boarder and show our passports to go in. Also, the insurance for our rented car wasn’t valid there, so we needed another one. 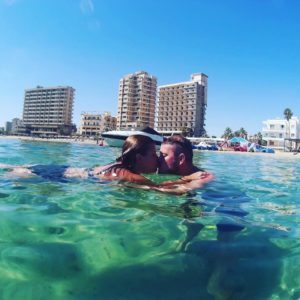 Our main goal was to see Varosha, that is an abandoned southern quarter of the city of Famagusta. Prior to the Turkish invasion of Cyprus in 1974, it was the modern tourist area of the city. Its inhabitants fled during the invasion, when it came under Turkish control, and it has remained abandoned and under the occupation of the Turkish Armed Forces ever since. As of 2017, the quarter continues to be uninhabited and is described as a ghost town. Entry is forbidden to the public. Even though the entry is forbidden, it is quite easy to see it from the outside. Also, as Varosha was a touristic city near the beach, most of the beach is still accessible so you can literally be in the beach and see all the abandoned and destroyed buildings. This beach is amazing by the way, it is called Akrin Palm Beach and it is probably the best one I visited in Cyprus. It is a sandy beach, with clear warm water, not too crowded, just beautiful. And I have to say the contrast between what it feels like paradise and a ghost city full of destroyed buildings guarded by armed military is something you don’t see that often…it gives you mixed feelings! 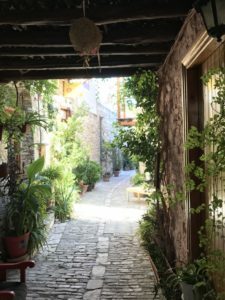 Next we headed back to the “other side” again to visit Lefkara, that is a small beautiful village that its know for its lace and silver handcrafts. It is a very calm village where everyone is very friendly. 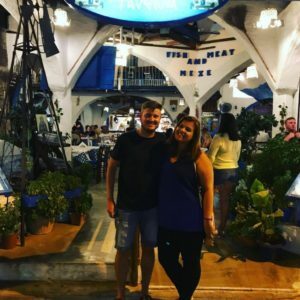 We had such a great time there and again the food was super tasty and the portions were too big! 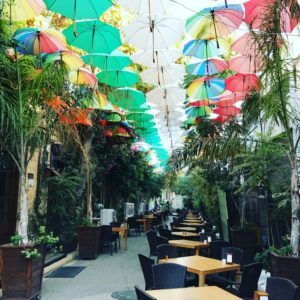 We had lunch in a restaurant called Taverna and I really recommend it. Finally we went to Nicosia, that is the capital of Cyprus, but it’s also divided. This means that there is also a boarder and we had to show our passports again to see both sides of the city. To be honest I quite liked both sides, not too different from each other aside from the fact that the Cypriot side had much more people. We didn’t have a lot of time to explore the city but I would love to go back to do it as I quite liked the “vibe”. In conclusion, we had such a great time! Even though it is not a huge island, I feel like there is quite a lot to do and see, and I definitely recommend renting a car if you want to see everything. 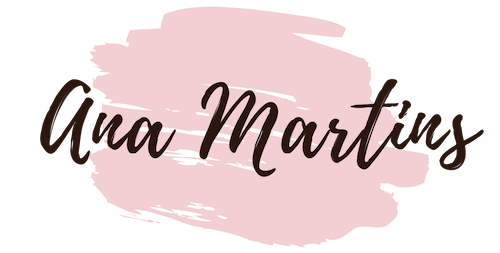 I hope you enjoyed this post and feel free to ask any questions!